Introducing you to the sound of now. Learn advanced digital music production techniques that will transform your music, producing professional quality contemporary tracks. We show you how to use the latest wavetable synths, cutting edge digital audio techniques drawn from film and games scoring, dance music production and beyond. Follow top trailer composer Konstantine Pope as he creates a trailer track demonstrating a wide range of hot-off-the-press music production techniques. This is a course for musicians and producers with a good basic knowledge of digital music production who want to step up to a more professional level. New digital audio techniques for a fresh contemporary sound. Build professional grade music production skills. Learn from top professional film and games composers. Choose the Gold Edition for personal feedback and tuition. Well, what are you waiting for? 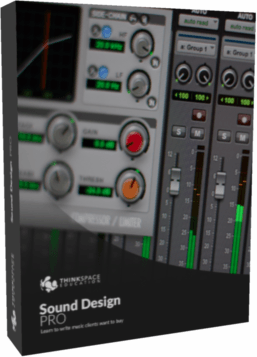 – Kickstart your sound design career and create unique and authentic music. Sean Garavan – SDP from Thinkspace Education on Vimeo. Konstantine Pope is a trailer composer best known for his work on the Assassin’s Creed trailers. He’s also an in-demand EDM producer and artist. 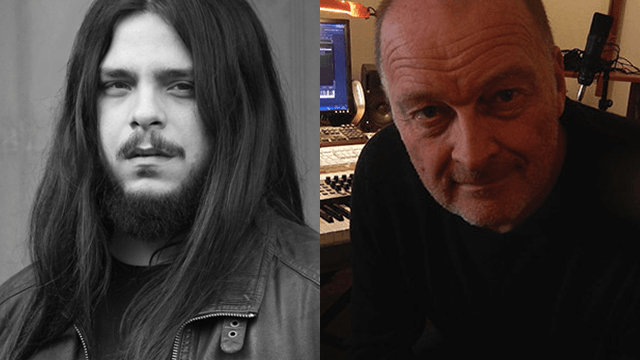 He’s joined by multi award-winning film and TV composer Guy Michelmore best known for his work with Marvel, Disney and Dreamworks, and sound designer, game and TV composer John Harvey who contributed to both Project Cars and Ripper Street. Using complex layers to make sound design elements plus how to build pads out of recordings of live instruments. So many different ways to create amazing rhythmic textures using synths like Serum and Massive, live instruments, sidechaining and a lot more. Mighty drones created from an eclectic mixture of source material, layered, manipulated and recombined to make something completely new. Alarms and risers, using automation and advanced programming functions to produce sounds that will help your track stand out form the crowd. That staple of the trailer world – here we show you what they are, how they work and how you can build your own. Deconstructing loops, accenting beats, re-processing and building a completely new earth shaking beat. Bringing it all together. How each of the sounds we’ve created came together in the final version of the trailer track. PLUS: An interview with top film and games composer and sound designer Daniel James. Uses stock plugins included with Cubase and Logic. The techniques however are applicable to most DAWs / plugins. You need access to a reliable broadband internet connection to download and stream the course materials, preferably 5Mb/s or better. We need an active email address that can receive emails from us. Course materials are both streamed and downloadable and in total can come to 20Gbs or more so you need at least enough disk space to store the materials as well. You need enough instruments, virtual instruments, modules or live instruments to record a reasonable demo. This means an audio interface, MIDI keyboard and monitors. You don’t need to be able to read music or be a synthesizer wizard to take this course, as long as you have a reasonable understanding of how to operate your DAW of choice you’re good to go! You need to know how your DAW works and be able to record a demo as an audio file in your computer sequencing environment. Media music is increasingly techie and so this is unavoidable I’m afraid.